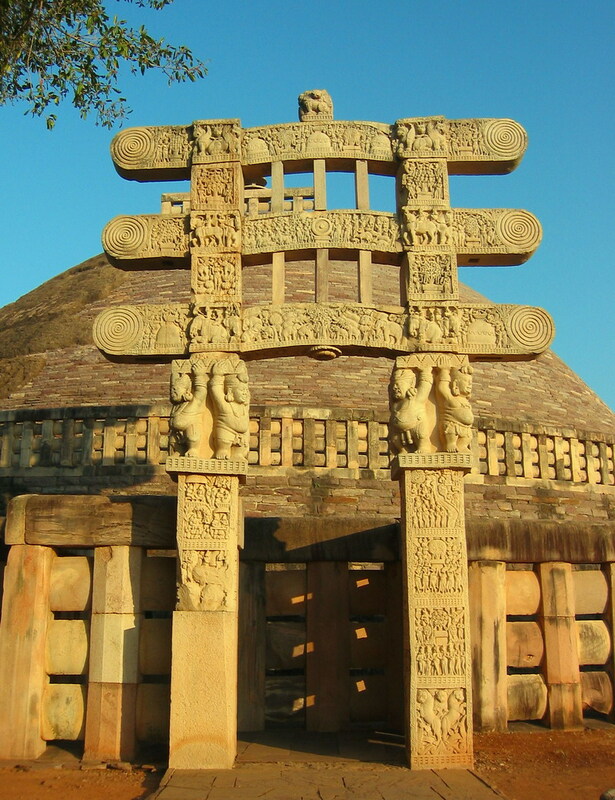 The ‘Great Stupa’ at Sanchi was originally commissioned by the emperor Ashoka the Great in the third century BCE. Its a simple hemispherical brick structure built over the relics of the Buddha. Buddhism originated from Indian subcontinent, before it was suppressed by Muslim conquerors in the 12th century. The small town of Sanchi, population about 7,000, is now mostly Hindu. a U.N. World Heritage site in 1989.